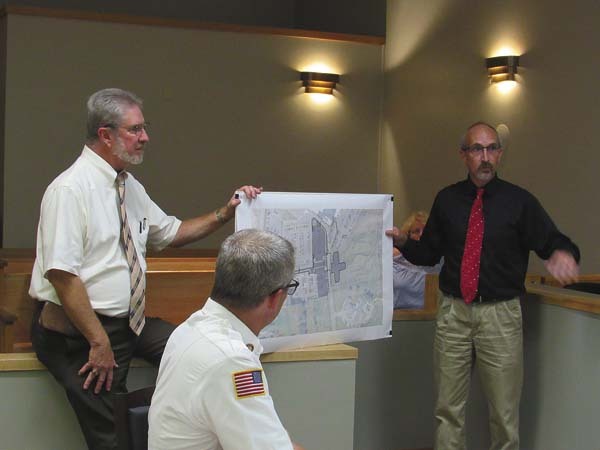 GLOVERSVILLE — Representatives for Nathan Littauer Hospital presented preliminary plans to improve parking lots at the site this fall and for the construction of a medical arts building to begin next spring during Tuesday’s Planning Board meeting. But, plans for the two projects will need to be drawn up and presented separately if the parking improvements are to be implemented before winter. The initial site plan developed by Greenman-Pedersen, Inc. and Nathan Littauer Hospital and Nursing Home Director of Engineering Bob Britton calls for the construction of a new 12,900 square foot building on the hospital campus along the east side of the existing driveway off of East State Street. Planning Board Vice Chairman Geoffrey Peck, who is also vice president of population health at Nathan Littauer Hospital and executive director of the Nathan Littauer Foundation, explained that the building will be a one-story medical arts building accommodating doctors and providers on campus who don’t necessarily work in the hospital. “Our current medical arts building on the west side of our campus is at capacity and we expect to attract and expand the specialists that we have working for us, employed for us on campus. Those are people that see patients in the hospital, so the concept is to have doctors that see patients in the hospital in a building that’s connected to the hospital and then primary care docs and specialists that don’t necessarily see patients in the hospital in the building adjacent to the hospital,” Peck said. 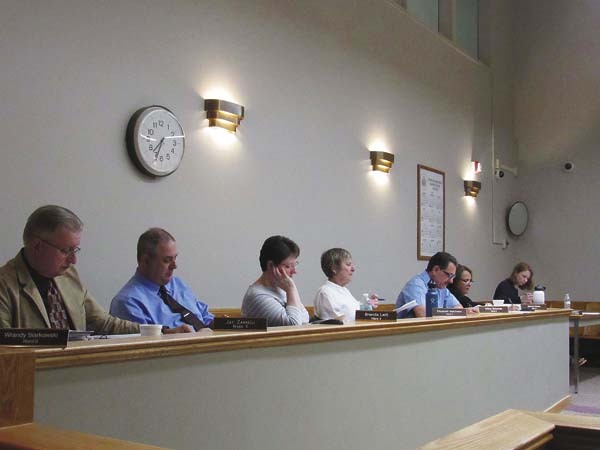 Peck provided additional details surrounding the project to the board, but abstained when the board considered action on the proposal later in the meeting. Designers of the project proposed completing the site work in two phases, with improvements to the parking lot, pedestrian walkways and stormwater management measures due to proceed this fall before construction of the building commences in the spring for an opening date in 2020. “We want to do the parking improvements first to make way for the rest of the development that will follow for the rest of the building so that we can minimize the overall disruption to pedestrian traffic flow while the building is being constructed,” GPI Senior Landscape Architect and Senior Project Manager Craig Tripp explained. During phase one the intersection along the hospital’s eastern driveway and parking lots would be improved and the parking lots themselves would be realigned with some curb cuts removed. This would create about 12 additional parking spaces in the northern parking area and about 60 parking spaces in the southern section within the current footprint of the existing parking lot. “We want to get the new parking spaces constructed that we need for the project, also clean up some of the existing flow for the site. Anybody that’s driven through, you know that when you come through here it’s kind of a curved semi free for all at the moment,” Tripp said. The parking improvements are expected to calm traffic and improve pedestrian access with another walkway to be added. Phase two would involve the construction of the building, a loop for patient drop-offs, an area for buses and vans to pull up to the building and the hospital’s helipad would be elevated and shifted from its current location further away from the building. Following the presentation Fulton County Senior Planner Sean Geraghty said that there were insufficient details for the Planning Board to advance both components of the proposed project. Tripp said GPI was trying to present a general overview of the hospital plans and receive feedback from the board for what were essentially two separate projects. Tripp noted that the parking lot improvements would be valuable to Nathan Littauer regardless of whether the building was constructed in the future. In order for the parking project to potentially move ahead this fall, Geraghty said the board could consider the parking project alone and he could revise the agenda to read that Nathan Littauer was seeking site plan approval for parking lot expansion with a note in the narrative stating that a second phase may be developed in the spring involving construction of the medical arts building. Tripp and the Planning Board members agreed to the change to begin the process, though Geraghty noted that additional information would be required including parking lot and driveway dimensions, turning radiuses stormwater calculations, proposed landscaping and other site plan revisions before next months meeting for possible approval. The Planning Board then approved a motion to classify the proposal as an unlisted action under the State Environmental Quality Review Act, as the project will alter fewer than 10 acres of land, and the board declared itself lead agency. This action allows the board to determine if the project will cause any significant impact under SEQR after other interested agencies have had a chance to comment on the proposal. 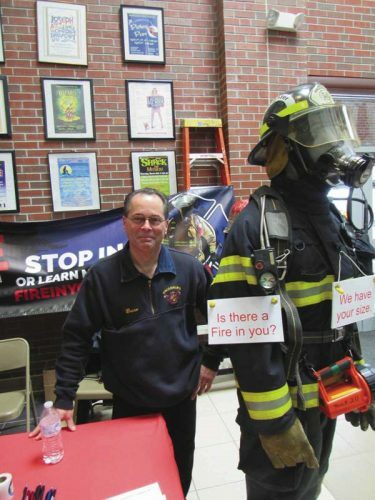 Geraghty said he would submit project details to the state Department of Environmental Conservation, the Department of Health, the U.S. Army Corps of Engineers and the Federal Aviation Administration, allowing 25 days for comment. The board then voted to schedule a public hearing on Nathan Littauer’s proposed parking expansion to be held during the next meeting on Oct. 2 at 7 p.m.
Geraghty noted that if the necessary project information has not been received or the board and/or the contacted agencies have any outstanding concerns regarding the proposal, the public hearing will remain open following the October meeting as the review process continues.